Málaga, Spain – April 20, 2016 At the World Congress on Osteoporosis, Osteoarthritis and Musculoskeletal Diseases, Performance Health Systems presented new research on April 17, 2016, revealing that using the bioDensity™ system is a safe alternative to high impact activity in rebuilding bone density in elderly osteoporosis patients. The treatment ultimately can help in the prevention of bone fractures. The study was presented by John Jaquish, PhD, chief science and technology officer for Performance Health Systems and inventor of the bioDensity osteogenic loading system, and Lynn Freeman, PhD, senior scientist for the U.S. Department of Health and Human Services' PATH Clinical Research Institute. The trial group from the study was able to endure slightly greater force loads through their musculoskeletal systems than the postmenopausal population studied in the recent Journal of Osteoporosis and Physical Activity (JOPA) study published in late 2015. "The results of this study indicate that bioDensity's force loading therapy is an effective way to simulate high impact activity without risk of injury, helping to regenerate lost bone and prevent bone fractures in osteoporosis patients," says Jaquish. The study adds to the existing research showing bioDensity as an effective, safe and comfortable non-drug treatment to rebuild bone density in osteoporosis patients. Performance Health Systems specializes in delivering advanced technology solutions through its health and wellness equipment. For more information and research on bioDensity, including a list of wellness centers, medical groups and doctors' offices around the world offering the bioDensity system, visit biodensity.com. April 19, 2018 Jenny H. Conviser, PsyD., CEDS, CMPC-AASP will present at International Conference on Eating Disorders in Chicago. April, 2018 Dr. Jason Conviser, Ph.D., FACSM and FMFA will present at the World Congress on Osteoporosis in Krakow Poland. Research on 15 subjects who completed one full year of Bio Density exercise training sessions demonstrated 11 of the subjects reversed their DEXA scores, 2 did not change and 2 continued to decline but the slope of degradation seemed to be less than previous years. The results from the study serve as an opportunity for any hospital-based fitness facility addressing the needs of older individuals who experience reduced strength, balance, and functional independence, thereby diminishing quality of life and increasing societal and individual health care costs. Power Plate and bioDensity provide effective, safe and lifestyle accommodating interventions to minimize or reverse many common issues associated with aging. 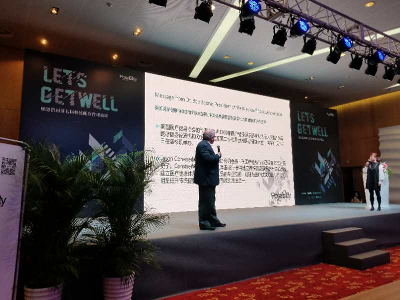 March 15, 2018, Dr. Jason Conviser, Ph.D., FACSM and FMFA presented to over 400 fitness industry professionals at the International Wellness and Fitness conference in Shanghai China on his research with bio Density and type two diabetes and osteoporosis. China currently has over 200 million diabetics and they are very interested in finding approaches to help diabetics control their A1c levels in a non-clinical setting. 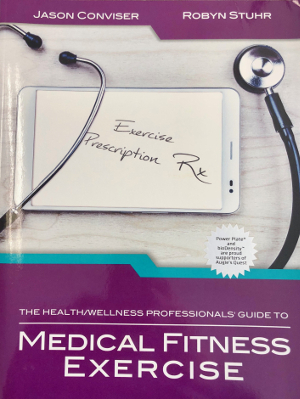 The Health and Wellness Professionals Guide to Medical Fitness Exercise, by Jason Conviser, Ph.D., FACSM and Robyn Stuhr, published by Healthy Learning Publishers in 2017 highlighted both Power Plate and Bio Density in chapters dealing with a non-pharmacological approach to osteoporosis and type 2 diabetes as well as improvements in numerous activities of dialing living. The science and understanding of Osteogenic Loading and the device that provides a safe application, bioDensity. Presented by Dr. Jason Conviser, and the inventor of the technology, Dr. John Jaquish. "New Technology Challenges the “Inevitability” of Osteoporosis" presents a compelling overview of the issue of osteoporosis and explains what the medical wellness community could do to potentially prevent this crippling bone disease from afflicting millions of individuals worldwide annually. The DVD details key perspectives on bone health, including outlining both the risk factors for osteoporosis and the traditional industry responses to this condition. The DVD also points out how a new technology provides a possible solution to the issue of osteoporosis. In addition, the DVD reviews why this new technology offers noteworthy opportunities for both health/fitness clubs and medical wellness facilities. 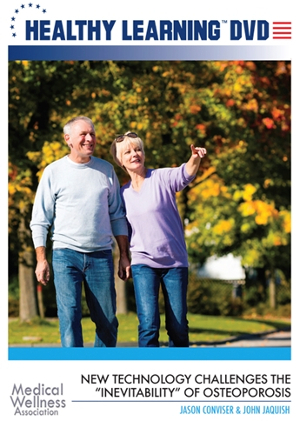 "Bone Density Health Solutions for Osteoporosis" reviews the fact that osteogenic loading can safely aid in increasing bone density by stimulating the body's natural bone generation process. The DVD provides an overview of a novel exercise apparatus, designed specifically for bone compression, as well as the resulting bone development. The DVD also details the research findings that indicate that the positive impact of this therapy is potentially greater than the current conventional standard of care. Crain's Chicago Business | Can this exercise machine reverse osteoporosis? bioDensity was featured today in a Crain's article "Can this exercise machine reverse osteoporosis?". The piece tells the story of Elly Laser who needed treatment for osteoporosis. Elly tried the standard regimen, oral biphosphates, but couldn't tolerate them. A yearly infusion of the medicine was prescribed, but Laser couldn't fathom injecting a biphosphate into her body. While searching for a non drug osteoporosis treatment, she found Ascend CHC's bioDensity clinic in her Streeterville neighborhood and began weekly bioDensity sessions. Ascend CEO Jason Conviser is so convinced that osteogenic loading works that he offers a money-back guarantee after one year. After seven months of treatment, Elly's scans show her condition "has moved from osteoporosis, which could kill her, to osteopenia, which she can live with and even go tango dancing." bioDensity was featured during the health segment of Chicago's Fox-32 Midday news show. The segment focused on the origin of bioDensity, and how Dr. John Jaquish developed the first device to treat his mother's osteoporosis. After reversing her condition, now bioDensity helps thousands of people worldwide. SelectUnited KingdomUnited States of America------AndorraAngolaArgentinaArmeniaAustraliaAustriaAzerbaijanAzoresBangladeshBelarusBelgiumBoliviaBosnia and HerzegovinaBrazilBulgariaBhutanBruneiCambodiaCanadaChileChinaColombiaCook IslandsCroatiaCyprusCzech RepublicDenmarkDominican RepublicEcuadorEgyptEstoniaFijiFinlandFranceFrench GuianaFrench PolynesiaFrench Indian Ocean IslandsGeorgiaGermanyGreeceGuadeloupeGuatemalaHong KongHungaryIcelandIndiaIndonesiaIranIrelandIsraelItalyJapanJordanKazakhstanKenyaKorea, Republic ofKuwaitKyrgyzstanLaosLatviaLebanonLibyaLithuaniaLuxembourgMaldivesMadeiraMacedoniaMalawiMalaysiaMaltaMartinique &amp; ReunionMauritiusMexicoMoldova, Republic OfMontenegroMonacoMoroccoMyanmarNamibiaNetherlandsNew CaledoniaNew ZealandNorwayOmanPakistanPanamaPeruPhilippinesPolandPortugalQatarRomaniaRussiaSamoaSaudi ArabiaScotlandSerbiaSingaporeSlovakiaSloveniaSouth AfricaSpainSt. Pierre And MiquelonSwedenSwazilandSwitzerlandSyriaTanzaniaTahitiTaiwanTajikistanThailandTongaTunisiaTurkeyTurkmenistanUgandaUkraineUnited Arab EmiratesUnited KingdomUnited States of AmericaUruguayUzbekistanVanuatuVenezuelaVietnamWallis And Futuna IslandsZambia Please select your country. SelectSalesService Please select your area of interest. ® 2019 Performance Health Systems. All Rights Reserved. BIODENSITY is a trademark of Performance Health Systems. This product or the use of this product is covered by US patent Nos. 7,806,806; 7,780,574; 7,775,937; 7,753,825; 7,959,540; and corresponding counterparts.